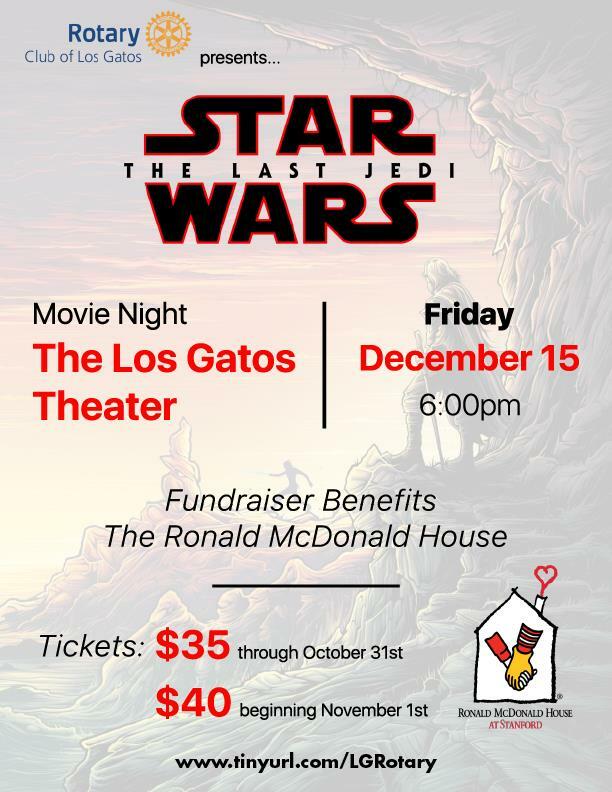 Los Gatos Theatre is SOLD OUT 6pm Friday Dec. 15th for Star Wars the Last Jedi in the main theatre because our club bought every seat available in the house! Let's fill all the seats with your co-workers, family, and friends. Proceeds will benefit the Ronald McDonald House at Stanford. They keep families with sick children together and near the care and resources they need. If you buy your tickets before Oct. 31st they are $35/each. After Halloween they are $40/each. Ordering tickets before or after club our club meeting will save you on-line processing fee.